We are now being told to embrace our partner's beer belly and refrain from nagging him about it because it may be the very thing that prolongs his life. A new book by Richard Bribiescas, Professor of Anthropology, Ecology and Evolutionary Biology at Yale University, claims that fathers over 50 who are more inclined to stretch out on the couch and watch sport, rather than actually play it, are more likely to live longer. One of the keys to a longer life is the natural decline in male testosterone levels which actually strengthens the immune system. So while some middle-aged men hit the gym, the lazy ones will have stronger immune systems and are less likely to have a heart attack or develop prostate cancer. "Macho makes you sick," says Bribiescas. "The Hollywood image of the swaggering, dashing man dispatching bad guys and carrying the day conjures up a perception of indestructibility. "While men are on average larger and physically stronger than women, men have a considerable weakness. "We have a harder time fighting off infections and illness compared with women, and men simply do not take care of themselves." This all has a significant negative impact on the pace at which men age. So instead of trying to fight that middle-aged spread, embrace it. Besides, becoming chubby will make fathers more likely to spend more time with their children rather than dashing off to the gym. And here's the thing, aside from the health benefits, surveys have shown that women actually prefer men with love handles. Women don't want to date men with perfect bodies, it makes them feel self-conscious. No woman, unless she has extremely high self-esteem, wants to get undressed in front of a perfect man. His perfection will make her feel embarrassed about her own flaws. OK, so women like a bit of flesh on their men and men are relaxed about putting on a bit of weight so it's potentially a win-win . . . or is it? The problem isn't men putting on a few pounds around the waist, we in Ireland are now facing an obesity epidemic. By 2030, 58pc of Irish men are expected to be obese, topping the scale of all European countries. A review of men's food behaviour by Safefood, the all-Ireland health body, showed that we are well on our way to fulfilling that alarming prediction. The review showed that 70pc of Irish men are currently overweight or obese. Dr Aileen McGloin, from Safefood, sums up the problem: "Men live in a different food world." It's true, men are more likely to eat larger portions. Even from a young age, you will often hear mothers say boys need more food than girls and they will feed them larger portions. While modern men cannot be unaware of the health benefits of eating well, a lot of them still don't regard eating well as an important factor to long-term health and well-being. "There's a definite cultural bias," says Colin Fowler, director of the Men's Health Forum of Ireland (MHFI). "Men see their weight in different ways to women. It's about the big man, with the big beer belly, all kinds of ideas of virility and masculinity." Unlike most women who are miserable when overweight and constantly dieting to try to lose excess pounds, overweight men tend to report higher satisfaction with their body weight. They don't seem to feel any particular compulsion to try to change it. McGloin explains that society agrees with them. "Society recognises men as less overweight; even health professionals are less likely to pick up on obese men and send them to be referred." Obviously gaining a lot of weight is extremely unhealthy and potentially dangerous, but Professor Bribiescas insists that a moderate middle-aged spread can be beneficial. "The change in body composition not only causes men to shop for more comfortable trousers but also facilitates increased survivorship." 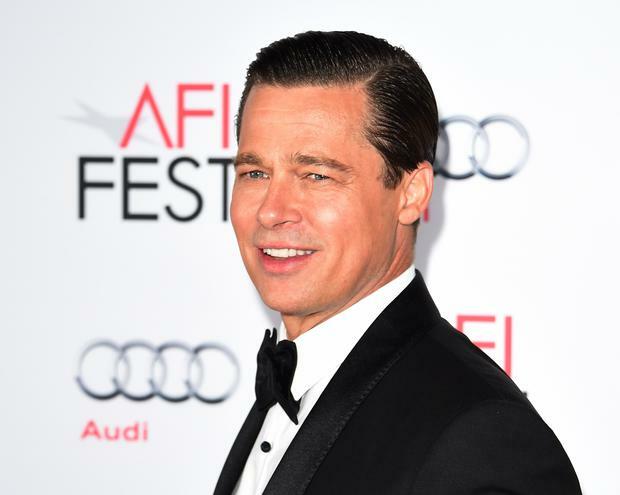 So, not only do men get to look in the mirror and see Brad Pitt reflected back at them, they may also have health benefits from their love handles. Yes, it certainly is a man's world all right.